Saxe-Weimar-Eisenach was created as a duchy in 1809 by the merger of the Ernestine duchies of Saxe-Weimar and Saxe-Eisenach. It was raised to a Grand duchy in 1815 by resolution of the Vienna Congress. In 1903, it officially changed its name to the Grand Duchy of Saxony, but this name was rarely used. The Grand Duchy came to an end in the German Revolution of 1918–19 with the other monarchies of the German Empire. It was succeeded by the Free State of Saxe-Weimar-Eisenach, which was merged into the new state of Thuringia two years later. If you find one of the above types I would be happy to hear from you and would make sure to aquire these documents for a decent value. But back to the great document from Gerhard, the Grand Duchy Of Saxony passport. The Grand Duchy of Saxony ended officially in 1918 during the German Revolution but the document was issued on Sep 8, 1919 – more than a year later after the Grand Duchy was defunct. Probably the police station just used up the old forms? 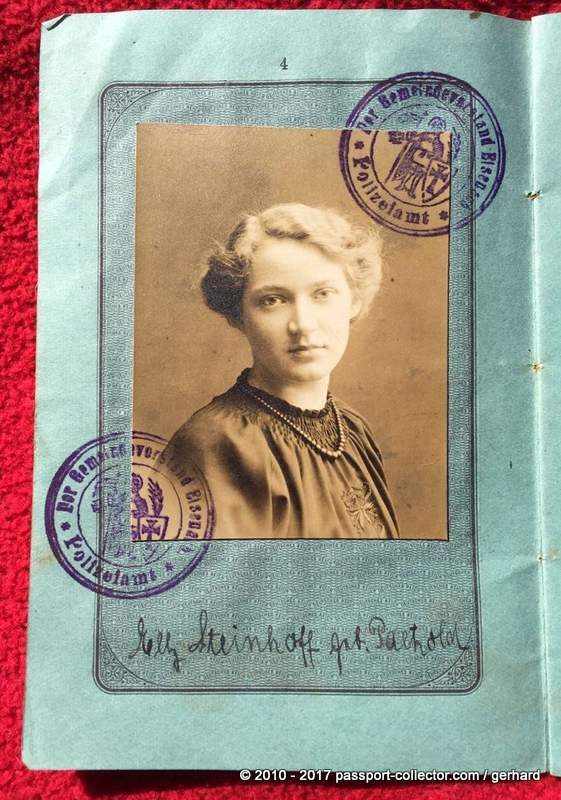 Her passport was valid till Sep 8, 1920. 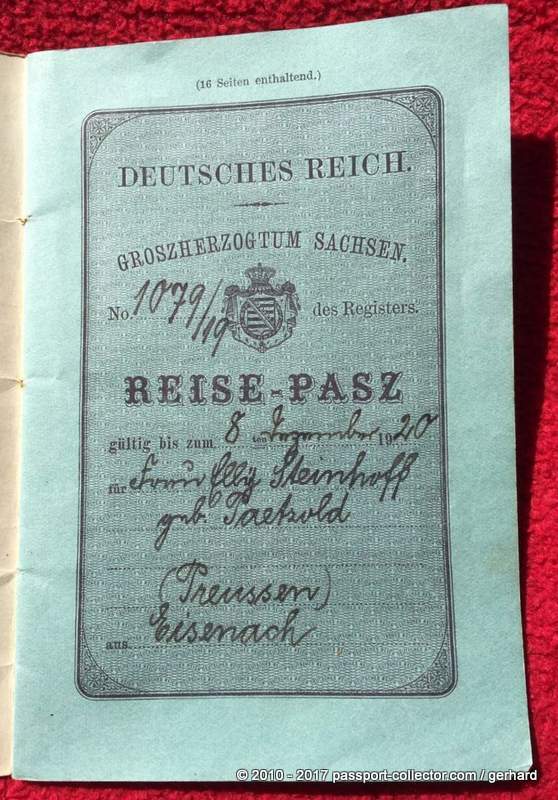 And another unusual characteristic is the wording “REISE-PASZ” and not the usual REISE-PASS! The passport number is 1079/19 which indicates that 1079 passports were issued in 1919. The Grand Duchy had in 1905 around 388.000 citizens. Gerhard, you have indeed something here which I envy you for. Congrats!